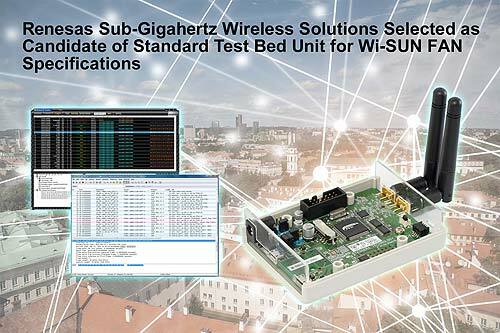 Renesas Electronics Corporation today announced that Wi-SUN Alliance1 has adopted Renesas’ sub-gigahertz (Sub-G) wireless solution as a candidate of the interoperability test bed units2 (TBUs) for the Wi-SUN FAN (Field Area Network) Certification Program. Renesas is part of the first wave of companies participating in the Wi-SUN FAN 1.0 certification process with its RAA604S00/RX651 wireless solution. Certifications are planned by the end of 2018. The Sub-G wireless solution features Tessera Technology’s evaluation platform, which includes an evaluation board3 mounted with Renesas’ RAA604S00 wireless communications system-on-chip (SoC) and RX651 microcontroller (MCU), as well as communication control software provided by Renesas. 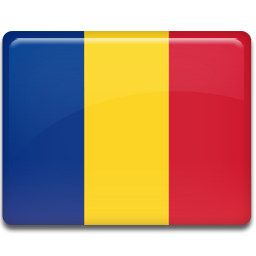 Renesas will demonstrate the new Sub-G wireless solution at its booth (stand B.c44) at European Utility Week 2018, November 6 to November 8, in Vienna, Austria. The Sub-G band offers features that are resilient to physical obstacles and can transmit data even further than supported by earlier standards, even in urban environments. Since wide areas can be covered with good stability through mesh networks, it is appropriate for applications such smart meter communication, power usage visualization, monitoring equipment utilization, and managing various sensors within a utility, factories and buildings.